The Geoportal is one of the main outcomes of the Geological Information System GeoIS project. It enables to access spatial data and services via the Internet. In a flawless way, you can add layers and create a custom map composition in 2D or 3D view. Under the umbrella of the European Union and through the implementation of the INSPIRE Directive, we include a number of geological services that enable easy access to national geological information, metadata, imaging, transformation and storage services. 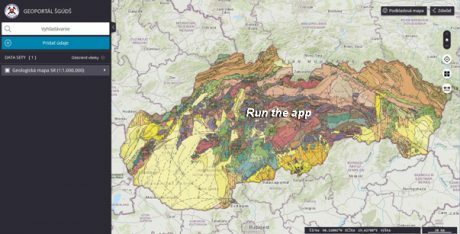 If you are interested in the new Geoportal and you see possibilities to use it in your work, please send comments and suggestions for improvement to: sguds_informatika [at] geology.sk.